Great Basin National Incident Management Team 1 assumed command of the Sharps fire at 6:00 a.m. today. The Incident Command Post (ICP) is located at the Carey School, Carey Idaho. Last night the fire moved north on to the Sawtooth National Forest. Today, firefighters will concentrate on building fireline and securing the south end of the fire. Fire lines are holding on the southwest portion of the fire; crews are working to improve firelines around the southeast corner and scouting the east flank to prepare for dozer lines to be constructed. Aviation assets will be utilized to support ground resources as necessary. Weather: A high pressure will continue to dominate the incident area with a slight chance of dry thunderstorms. Relative humidity will be between 10 and 17 percent with temperatures in the mid 80’s to mid 90’s. Closures: Muldoon Canyon road is closed from EE-DA-HO Ranch (east of Bellevue) to Hunt Road. Little Wood Reservoir road is closed at the reservoir. High Five, Baugh Creek, Bay Horse and Hunt roads are also closed. 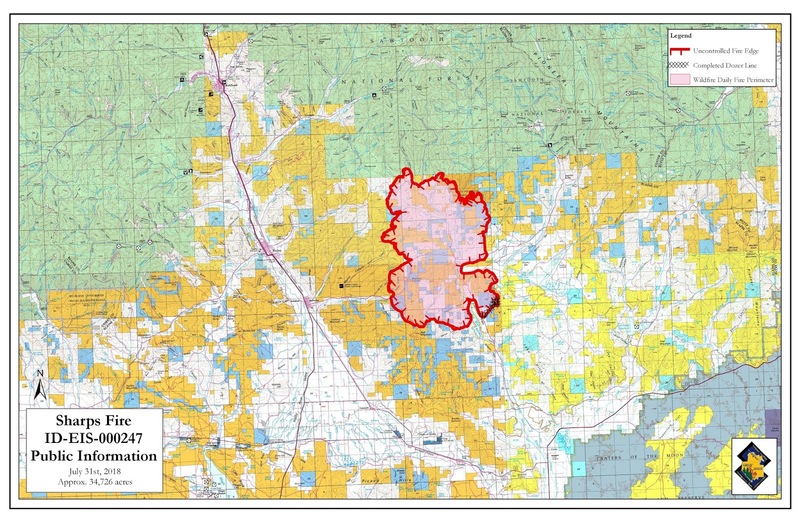 The public is asked to stay out of these areas to allow for fire fighter and public safety. More closures are being evaluated as the fire progresses to the north. 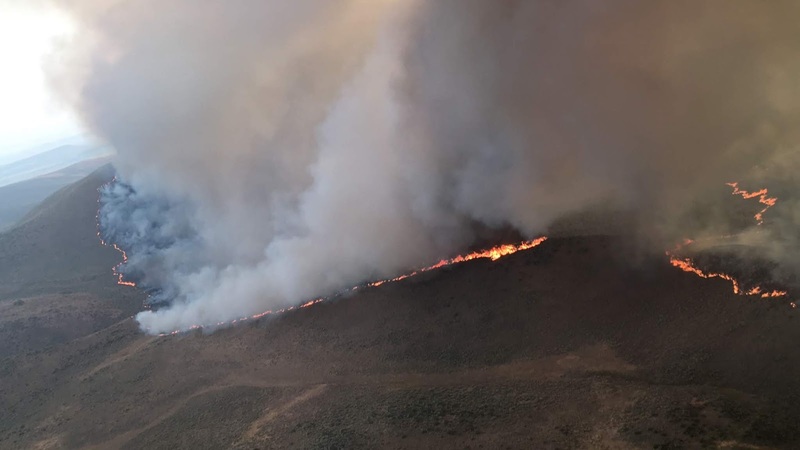 Evacuations: mandatory evacuations are in place for the Little Wood Recreation Area campground and all residences on Little Wood Reservoir Road and Flat Top Road north of the reservoir. High Five Recreation sites are evacuated and closed to the public. Pre-Evacuation Notice: Fish Creek Road is under a pre-evacuation notice. Residents should prepare to leave at a moment’s notice. Gather critical documents, medications, children, and pets and be ready to go. Temporary Flight Restrictions (TFR): There is a TFR over the Sharp fire.